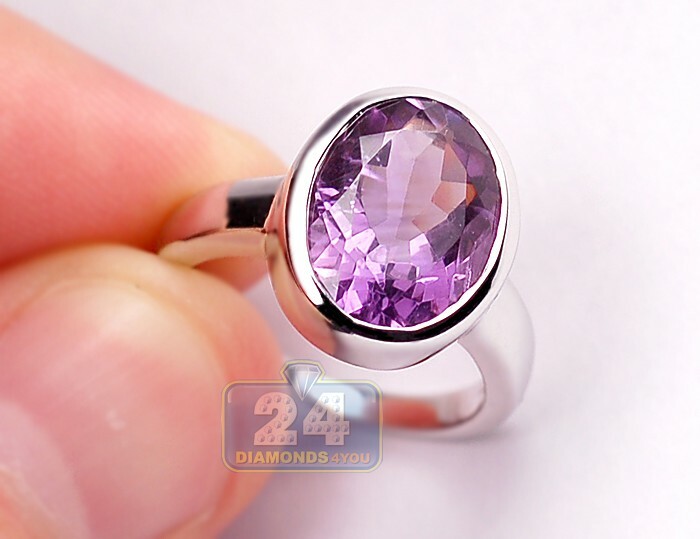 Enjoy such an elegant yet playful gemstone ring! 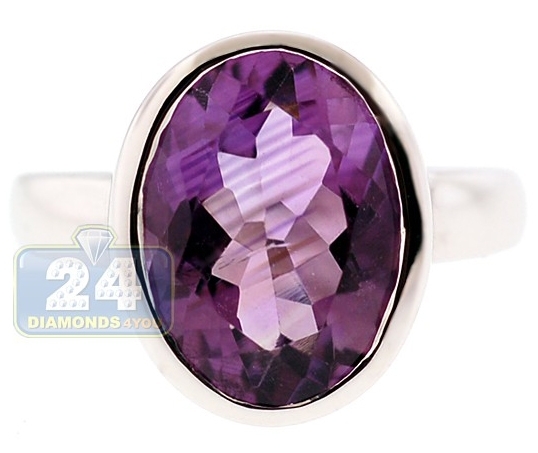 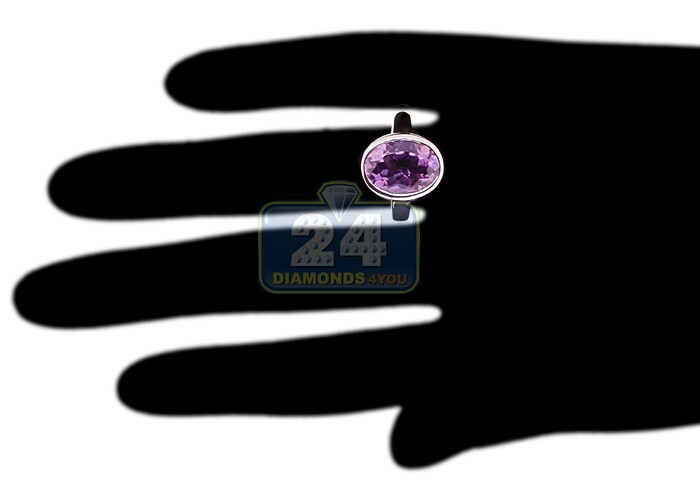 It showcases a natural purple oval cut amethyst of Brazilian origin that is masterly bezel set in the center making this jewelry piece a really chic accessory! 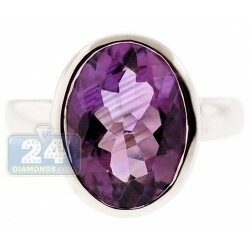 The setting of the ring is expertly produced in cool 925 sterling silver with highly polished shiny finish. 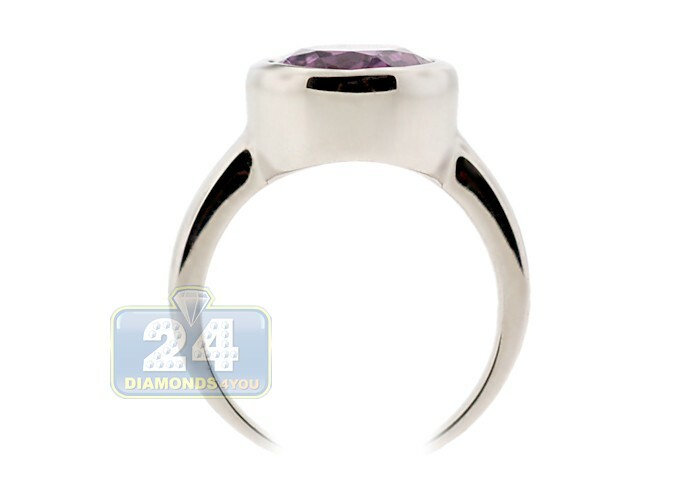 Add this fascinating solitaire ring to your daily style!